My tape ran out but on looking up the Chicago Cubs wound up taking the game out over the Los Angeles Angels by a score of 8 to 6. I thought this might help answer a few questions about WHY I follow the Chicago White Sox. I am originally from Ohio in the USA, so that makes me an expat. I am a born and bred Buckeye and I will always hate that team up north. I moved to Australia in 2000 and rebuild my life after a series of events that saw my marriage fall apart, I grew apart from my kids and I was on the verge of a complete breakdown. I got very little in the way of hometown sports, baseball and gridiron(as the Aussie call it). I love my sports and always have, I needed those connections back to my roots and rediscovering baseball again was something I needed. I knew all about the White Sox and some of their history but I wanted to know more. I had friend who were massive Sox fans and I finally decided to get on board. I read as much as I can and research to learn about new players. I completely adore the movie “Field of Dreams” I guess I you could say I have been a Sox fan ever since the movie came out but it wasn’t until meeting the brother of a close mate of mine who was a massive fan of the boys. Gary had tickets each spring training to the Camelback Ranch and would take his boys for a few games. Roughly three years ago Gary got dealt a really cruel blow, finding out that he had cancer. The sad fact was that the cancers he had were inoperable and he was in the fight of his life. We all rallied around Gary and did anything and everything to keep his spirits up as much as possible. We all started following the White Sox, keeping Gary updated and doing our best to keep his spirits up. In 2011 as the new season was approaching we knew the end was coming for Gary. He was not able to go to the ranch that year but his boys went, and took Gary with them in spirit, taking plenty of pictures. All Gary kept sharing was he wanted to see opening day,Gary was too ill to actually go to the park but friends took a picture of Gary with them and posted from all places in the ballpark. Just a few days later Gary lost his fight, I miss him so much and wish I could talk to him today. He was a teacher and taught me so much. I take what he taught me and I teach others who I see are struggling. I continue to love and follow the White Sox wishing that Gary was here to see the highs and lows of the season. It keeps Gary’s memory alive but it always keeps me connected to my roots. My partner and I are planning a trip home to the USA and to spend some time in Chicago and attend some games. I can’t wait for the whole experience. It’s the final battle in the war to see which Sox reign supreme. Hector Santiago got the call for today’s game with Chris Sale experiencing some tendonitis in his shoulder. They are hoping that a few extra days rest will help and as of now he is scheduled to pitch in the crosstown rivalry. I did see on twitter that as of now, John Danks COULD return as soon as FRIDAY night against the Florida Marlins, either Dylan Axelrod or Hector Santiago will be moved to the bullpen to make room for him on the rooster. 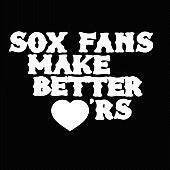 Well Kids, that loss ends the Sox Drawer War, by a score of 6 – 2 but the White Sox won the series by 2 games to 1. It’s a day off tomorrow before the Florida Marlins come to The Cell. Then, it’s the series that every White Sox die-hard fan waits for, the crosstown rivalry with the Chicago Cubs. Get some rest and see you on Friday in the USA and Saturday here in Australia for the first game with the Marlins.